What are Key Information Documents? At the start of 2017 new regulatory requirements come into force that will change the way that many structured products are marketed and sold. From 1st January manufacturers and distributors operating in the retail market will be required to provide investors with a “Key Information Document” that clearly states the features, costs and investment risks of each product (for further information on these regulations please refer to our KIID Resource Page ). Whilst the precise make-up of a KID is open to interpretation the scale of this new requirement is becoming abundantly clear. The big factor contributing to the additional workload from KIDs is that they are dynamic documents and therefore have to be regularly reviewed throughout the life-cycle of each issue. In essence, this means that a KID for even the simplest product might require updating on a monthly basis and those with more complex underlyers and features more regularly than that. Even a relatively modest output of new issues per year can soon scale to a significant volume of documentation that must be generated, distributed, reviewed, updated, re-issued and re-distributed on a variable time basis; and if that were not enough of a challenge the whole process must also be audited. The net result is that when it comes to sizing the impact of KID production there are two major factors to take into account, firstly how many times will the KID be updated and re-issued per year and secondly the cumulative effect of continuing to issue products in the following years. Even using conservative factors that would result in KID production in the third year being at least three times the volume of that in the first year. How can worldflow tradingFlow help? The key to managing large volumes of KID documentation lies in standardisation and automation. Whilst KIDs are dynamic documents, generating updated versions will require changing relatively small amounts of data in most cases. 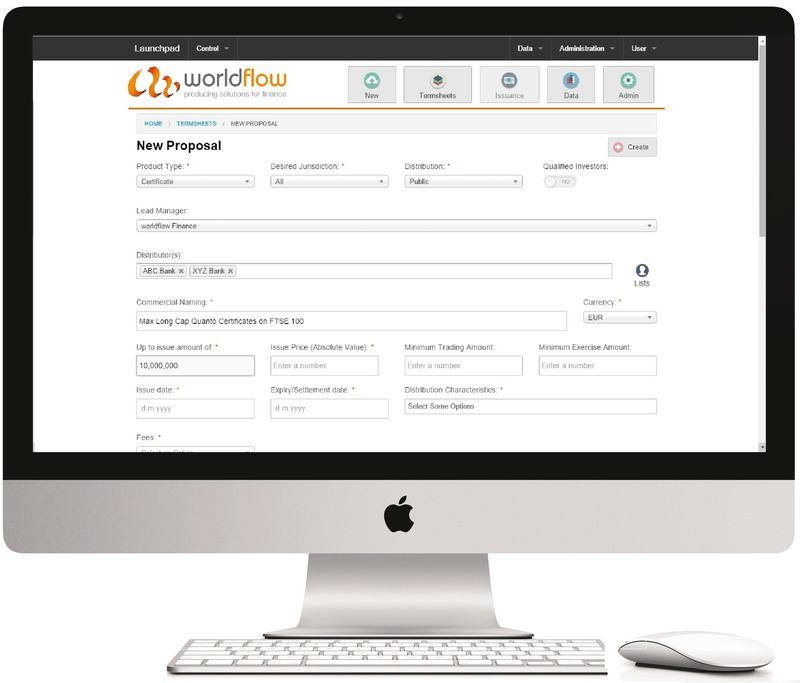 The template driven document creation and revision processes developed by worldflow are ideal for managing this type of requirement. Automating KID production with tradingFlow’s Launchpad provides a scalable, cost effective solution to delivering KIDs seamlessly alongside existing business processes. Launchpad is highly configurable with a wealth of functionality already built in so our solutions are designed to deliver on-time and on-budget value to our clients. To find out more about our solutions please contact us directly to arrange an online demonstration.